I hope you all had a great weekend! We didn't do much, but I did get my day of pampering in with a mani-pedi and some pool time. It was much needed! I went with Essie Mint Candy Apple on my fingers and a China Glaze neon on my toes. Bonus points since they both matched my bathing suit! I ran into a little issue at the nail salon though so I thought that might be a good starting point for my first ever confessions post. Let's do this. + I started watching Orange is the New Black last night. I'm only 2 episodes in, but I'm not that into it. Does it get better? + This... I go out of my way to put running shoes on because if I just throw on my flip flops, people will know I'm faking it. + My library book is currently overdue. I owe $1 so far with only half of the book read. + I can't stand the sight of blood. I get weak just thinking about it. When I was 16, my mom let me get my belly button pierced. I passed out in the parking lot because I saw a drop of blood, like full-on passed out on the ground. + True life: We're a cup hoarding family. This is only half of it. + Cute headbands don't work on me. I always see Megan wearing the cutest headbands but they look straight up ridiculous on my mane. + My herbs took a turn for the worse. The cilantro is long gone and Parsley is on its way out but my Basil and Rosemary are just okay. I guess 2 out of 4 isn't that bad? + I gave up coffee last week, just because. I'm pretty sure I'm losing my mind. Can anyone else relate? I know there are a lot of Orange is the New Black fans out there, does it take a few episodes before it gets really funny? Keep going with the series. I did like it right away though but it really is good! I haven't seen the show, but I read the book and it definitely got better. I say a 50% success rate with your herbs is a good goal! Hahaha on the rice story!!! Was your phone ok? 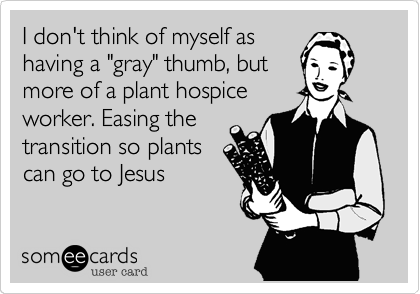 I'm the same way with plants. I have been able to keep my basil alive but that's only because it's on my windowsill in the kitchen so I remember to water it since it's in my face! 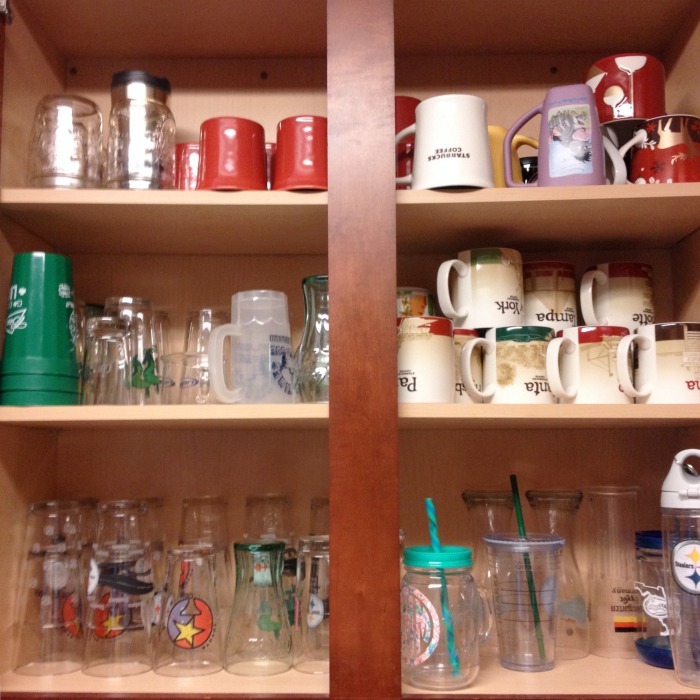 We have way too many cups too - we have an entire cabinet for wine/beer/and highball glasses. :) Hope your phone is ok! Is Ruby almost back to normal after her surgery? You will have to tell me if Orange is the New Black does get better because I'm considering signing up for Netflix just to finally start watching it....and cute toesies! Hope your phone is back in working order again! 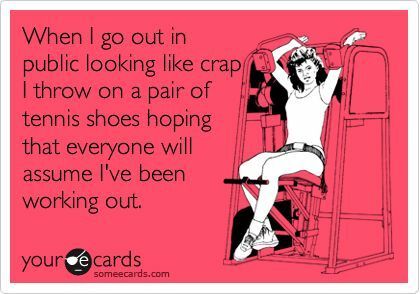 I totally do the tennis shoes thing! haha. And my cilantro bit the dust recently too, but my basil is still holding on. Love the blue nail polish! Looks good on you. Headbands look stupid on my egg head. Yes Orange gets better. Stick with it. It's pretty raunchy as I'm sure you've seen. That's hilarious about your phone! Well not that you dropped it in water! Guess it survived?! Running shoes TO THE RESCUE! Yes, totally do that! And OMG...I have a fear of doing that with my phone...did yours come back to life?! bahahahahaha I definitely died laughing over that asian salon fail......how is your phone doing? Awesome nails. Wonder what they were thinking about the rice comment haah. Probably didn't get it... maybe... glad your phone survived though. Oh and Orange definitely picks up! Stick with it if you can (minus the lesbian loving that's about to get real real ha). I'm just glad to know that I'm not the only one that does the tennis shoes thing... It is a life saver. Hubs and I are in the process of watching the second season. I wouldn't categorize it as a full on comedy like Big Bang Theory, for example. There's quite a bit of drama. Stick with it! It get so interesting and I love finding out all the inmate's stories!! Omg too bad the rice comment didn't go over well... I think it's hilarious! And yeah I decided to give up diet coke at the same time I tried getting my son off the bottle at night... Sleepless nights and no caffeine don't go well together! hahaha the rice comment...d.y.i.n.g!! I am a big fan of Orange is the New Black, give it at least five episodes before you decided to give it the axe! I agree with some other commenters, it's more a dramady than a comedy. But still soooo good!! Keep watching it! It will get better! My cilantro is dunzo, too, but from what I hear, that's typical. Bahah!! Girlfriend, I just about died about your rice comment... too funny!!! The second season of Orange is the New Black is pretty rough. I was pretty frustrated with it, but the last three minutes of the season was good.